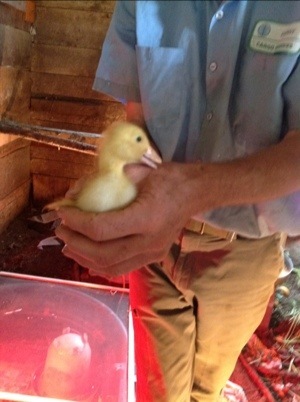 One of the first things that happened to me upon arrival at the Otrembiak Farm today was holding a baby duckling who immediately pooped on me. I got to help plant melons in the field. The black plastic blocks weeds and heats the soil underneath. One of the melons I planted is shown here. The shredded paper cools the plants down on the black plastic. It is also a demonstration of the Otrembiak’s philosophy to waste nothing: the paper was collected from an office building where it had been heading to the trash. 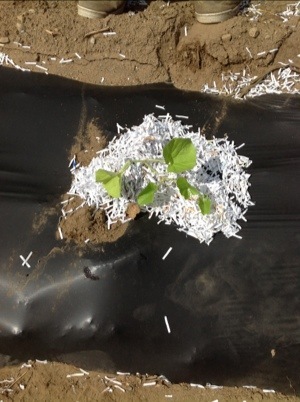 Seedlings are sometimes in repurposed materials like plastic cups, or styrofoam ones from Dunkin’ Donuts. These pots allow much more sophisticated root development than classic 4 or 6 inch pots due to greater height. 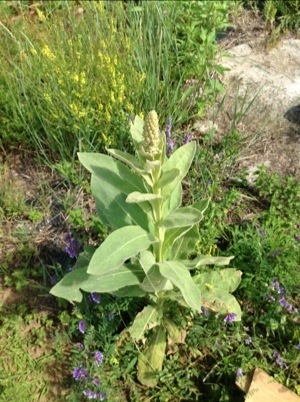 Of course in as beautiful of a property as this Saratoga gardening Mecca, there would be some wild Mullein! I saw lots of other habitat plants, including the biggest piece of Plaintain ever. 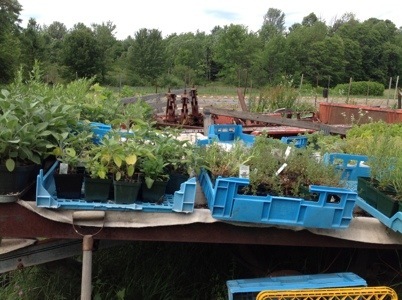 The Otrembiak family brings their produce and/or seedlings to the Saturday Saratoga Farmer’s Market. 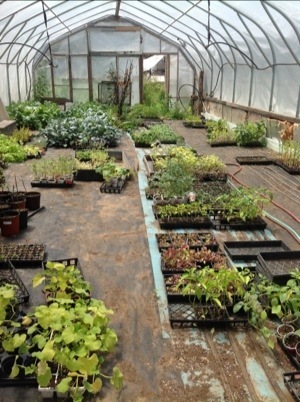 Everything they grow is done with thoughtfulness, care and natural methodology. 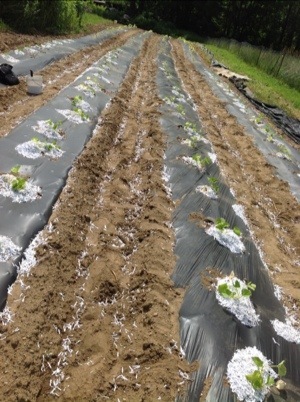 Each seedling is actually watered into the ground with a seaweed powder mixture to encourage root stablization. I encourage checking out their booth at the market, they grow a wide variety of vegetables that are common or hard to find.